Meet the economic, competitive, technological, and political challenges of the 21st century. Universities are complex and dynamic organizations and the education environment today is changing rapidly. Financial sustainability has never been more critical. Traditionally driven more by mission-based values, university leadership must understand the impact of their decisions on the bottom line to move their organization forward sustainably while also remaining true to their mission. 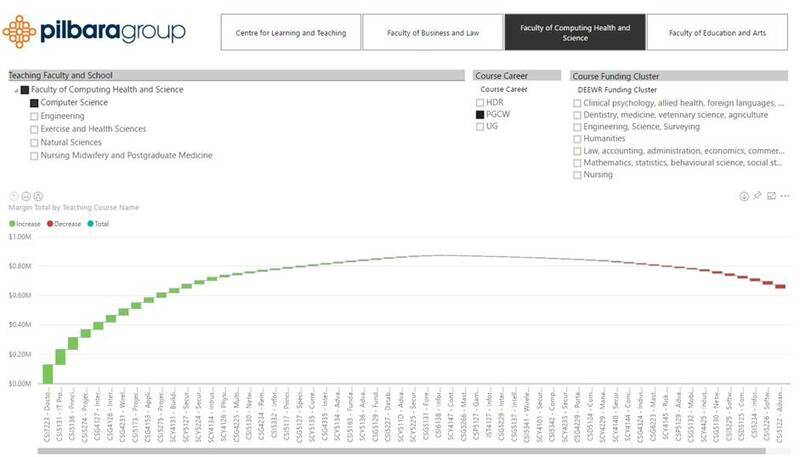 In response to these unique challenges, Pilbara has leveraged its extensive domain expertise of cost, performance, and predictive modelling to create a solution specifically for universities. This solution has been refined over the years with university clients to ensure it matches and addresses their specific business requirements. Because our ACE Insights models are derived from granular-level data, resulting decisions are accurate, transparent, timely, and defensible. ACE Insights is a proven, cloud-based platform that delivers highly-automated, data-driven models of your current and future operations. 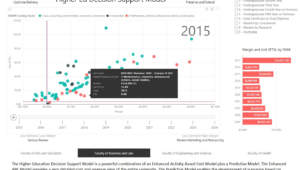 Created by “modelers” for “modelers”, ACE Insights is extremely flexible, offering multiple models for multiple purposes from within a single software application. Among its many benefits, customers report a 75% reduction in implementation and maintenance timeframes. 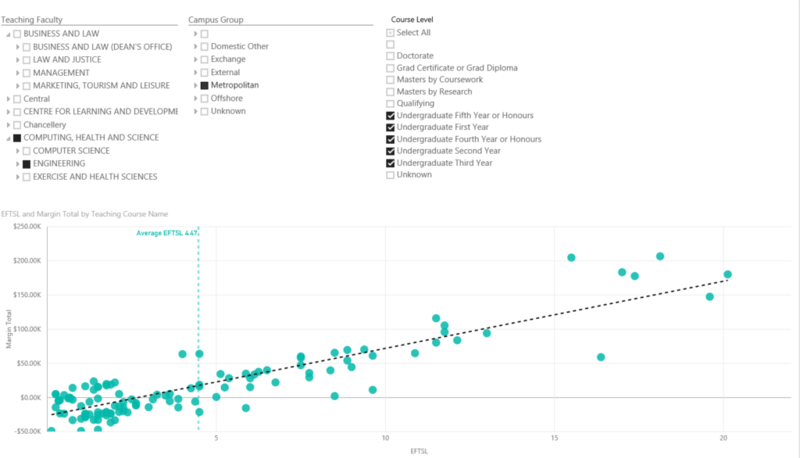 ACE Insights links the large amount of data from major, commonly-available university datasets (i.e. 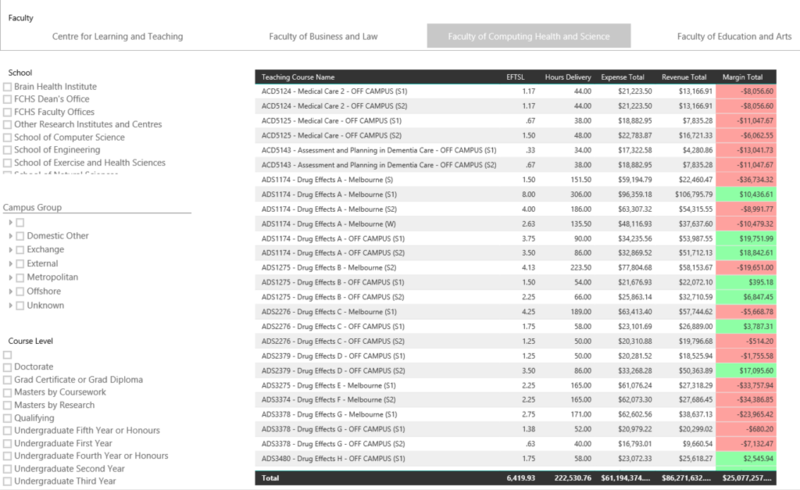 finance, human resources, timetables, facilities, student management, research activity) to build and configure custom models—including Activity-Based Cost (ABC), Predictive, and Benchmarking—for intelligent, executive decision-making. 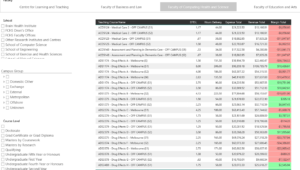 Unlike traditional cost models, which are too manually intensive to build and maintain on an enduring basis, our custom cost models are built to support and evolve with the unique business of each college or university. 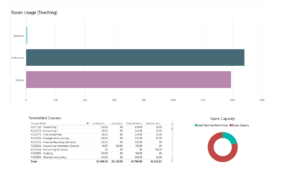 Our sophisticated software and multi-dimensional analysis provide a complete, transparent view into institutional costs and profitability—and associated implications—at all levels of operations. Many Activity-Based Cost (ABC) implementations fail because they require exorbitant time and resources, then years to prove return on investment (ROI). Alternatively, our ABC Model within ACE Insights is built rapidly, with as much automation as possible. 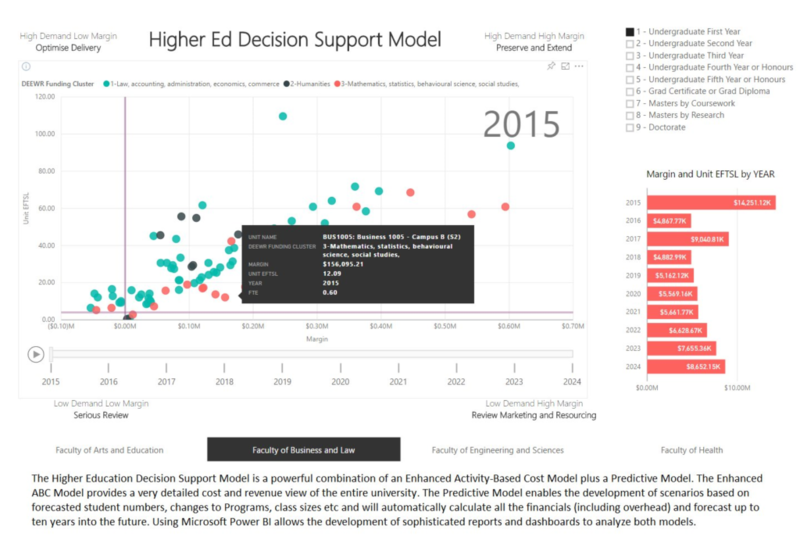 By leveraging the wealth of data already available in higher education institutions, then maximizing this data, our implementations are successful and our ABC Models driver-focused. 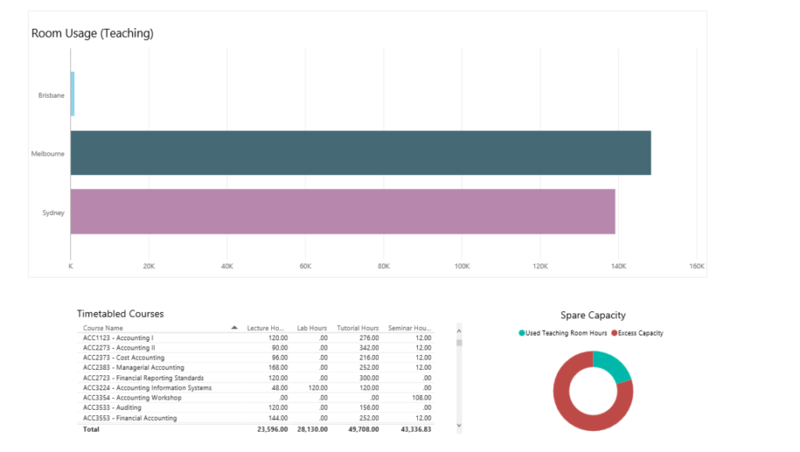 The Predictive Model within ACE Insights builds on actual historical cost models to analyze relationships between the inputs (resources) and outputs (products/services) through a series of algorithms. In other words, the models are derived from real cause and effect relationships, a very solid foundation from which to accurately predict the future outcomes based on changes in inputs. 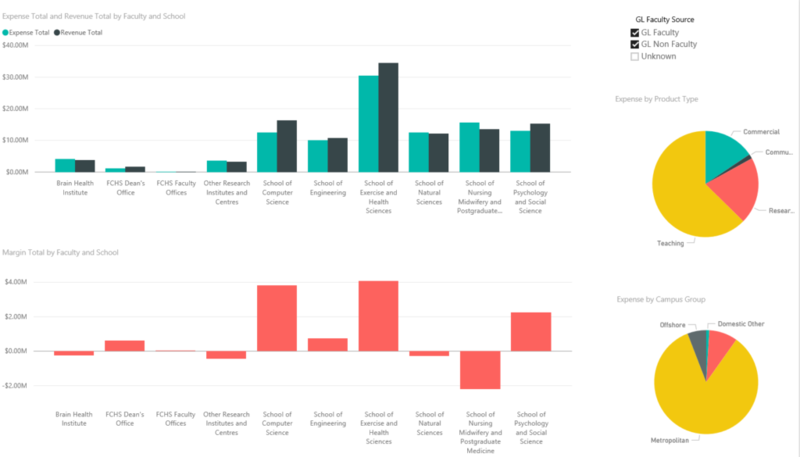 Using the ACE Insights Model for benchmarking provides value to university clients that was previously unachievable. 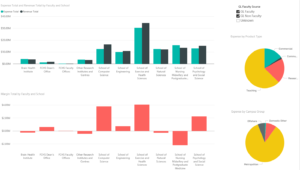 Through the ACE Insights Model the cost of research can be effectively decoupled from the cost of teaching in a robust and defensible fashion. 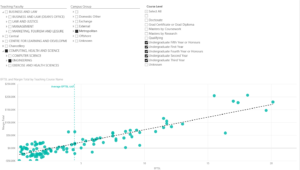 This enables the creation of benchmarks examining the cost of teaching independently from the cost of research. The benchmarking solution can contain a wide range of detailed metrics for comparison including cost, revenue, margins and if the data is available performance metrics at a high level or down at reasonable standard teaching and research level.